We want our customers to realize that the grass carp we sell are true triploid Amur and CANNOT REPRODUCE! In addition to that, Amurs are one of the best methods for vegetation control out there. This link to the US Fish and Wildlife Service website will give you a better idea to what these fish are, and what makes them sterile and a specific type of Amur that will not become an invasive species in Ohio. This website link is not just a state service – this is from the US Fish and Wildlife federal government website, in the southeast region that covers 10-11 states total. We want and need our customers to read and understand this. These fish are safe, effective, and guaranteed they cannot reproduce. The Hatchery we source these fish from a USDA inspector ensure every single fish that is sold cannot reproduce and is safe to sell. This is a rigorous and extremely detailed process that ensures these fish will not become invasive to Ohio and will do their job for years and years when properly cared for. 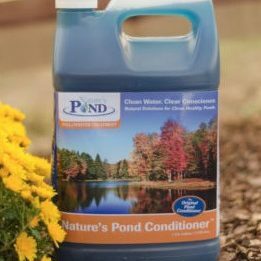 This is a better addition to your pond than any chemical you can purchase, hands down. Since 1956, Fender’s Fish Hatchery has been the authority in stocking ponds and lakes for Ohio, the surrounding states and beyond. 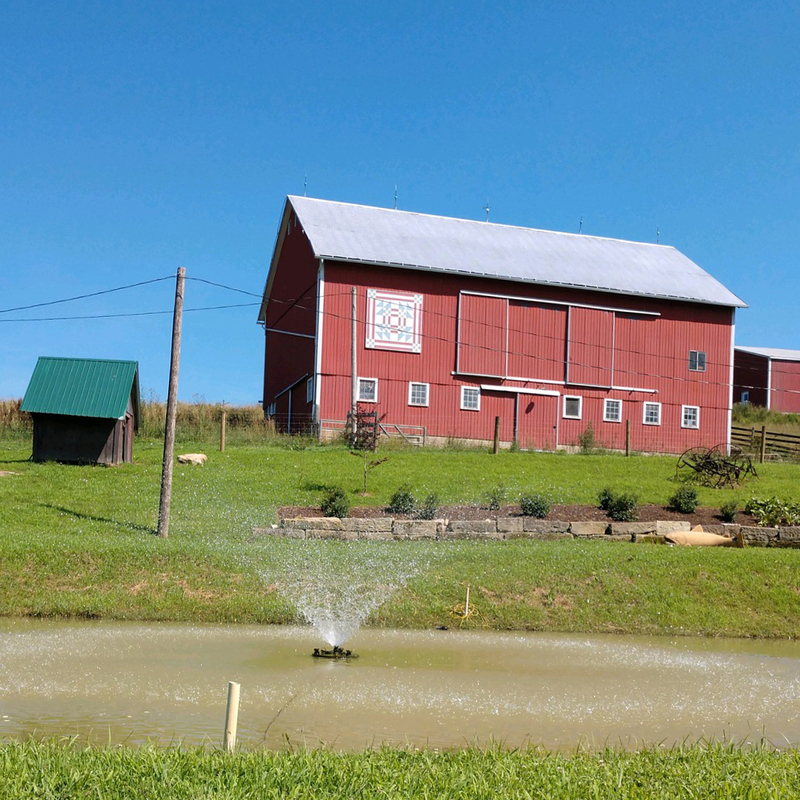 Started by Dennis and Janet Fender and continued to this day with the help of their children, the family farm owns and operates over 200 acres of ponds in 3 counties, stocking and growing some of the healthiest and best fish found in the Midwest. We are not just a hatchery – Second generation business operator Steve Fender has written “the definitive book” on pond management. 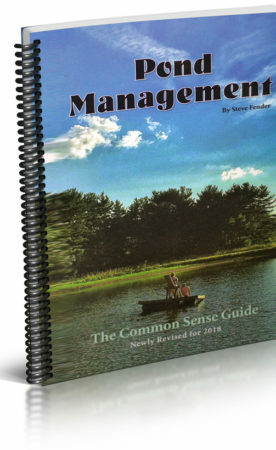 Pond Management, The Common Sense Guide is available for purchase through the link below. Get the number one resource for Ohio ponds and lakes as well as definitive information for any pond owner across the globe. From per fish pricing to pond stocking packages and seasonal fish, get all your pricing and information here. If you intend to stock water that is not in Ohio, please call us before you make a trip to our hatchery. To transport fish across the state line from one state to another, there are special permits and certifications you will need. To violate these laws may put both you and us in violation of the Lacey Act. The Lacey Act defines the law pertaining to the transportation of live animals or fish, in this case, between states. To be in violation of this federal law means thousands of dollars in fines and legal fees and possible jail time. A notice to our Pennsylvania customers: For customers taking game fish into PA, contact us first so we can go over the requirements for transporting these fish into your state. We value our customers and wish to keep everyone on the right side of the law. Steve’s phone number is 740-502-5454 and we are always here if you have questions. NOW SELLING – GRASS FED FARM RAISED BEEF! Steve is happy to announce the newest branch of the Fender’s business. 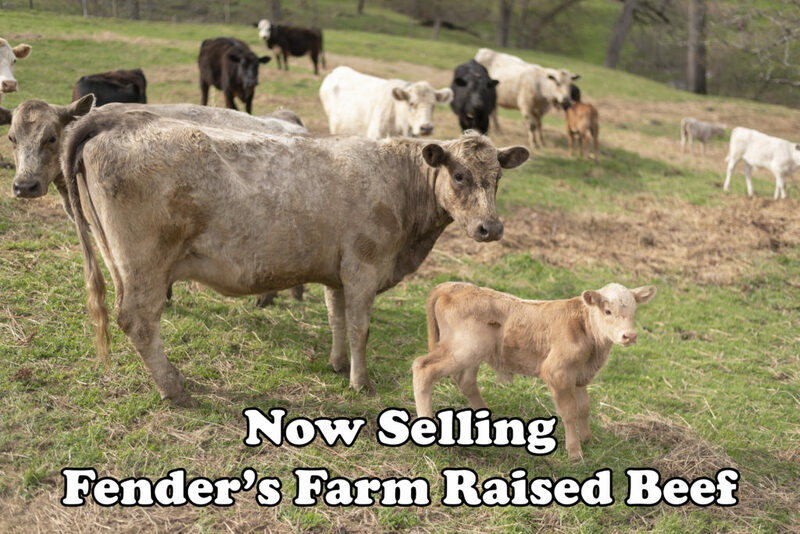 We have been raising our own cattle for many years, and are now offering beef for sale at the hatchery. These cattle were two years old and grass raised up until the last month and a half, at which point we grain fed them to give the perfect amount of texture to the beef. This is available at the hatchery for pickup and is packaged by Sugar Valley Meats. Bred and raised on our farm from start to finish, then butchered fresh in February – much like our fish, this is a quality that we have monitored from the beginning and can ensure our customers get only the best. Spring has sprung, and now is the time when we start to get calls from customers with cabin fever who are eager to stock their ponds. You’re in luck, as we are now fully stocked, so you can stop by anytime during business hours to pick up any number of fish for your pond or lake. You should start using your muck reducers and pond cleaners now. It is also a good time to keep your eye out for bacterial gill disease in your bluegill. If you notice anything going on in your pond that doesn’t seem right, give us a call at the Hatchery and we will help you any away we can. We had a winter this year much like our last winter, and last spring we got a lot of calls from customers who had issues with springtime vegetation because the winter didn’t give a good layer of ice and snow to kill the vegetation from the previous year. You may also notice problems with bacterial gill diseases in blue gill because of the stress caused by the blue gill not getting pushed completely into dormancy with the mild winter temperatures. These kinds of things we can help you with in both prevention and maintenance, so give the hatchery a call if you are ever experiencing a problem. Call the Hatchery any time at 740-622-0681. Calling is not necessary to stop in but if you plan to make a large order, you might want to give us a call and make sure we have enough stock. 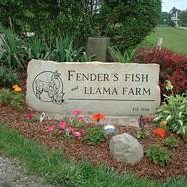 Fenders Fish Hatchery has spent the last half century (plus a few years) serving pond owners with the highest quality fish, pond products and advice. We can help you with the best fish, aerators and cleaners for your pond or lake assuring great growth, fish health and management. All of our live products cannot be shipped or sold online. You may purchase these at the hatchery and take them home or have them delivered to anywhere in Ohio – ask about our delivery rates and don’t forget to check out our calendar for when we visit county Soil and Water Conservation districts for fish sales as well, to cut down on your travels. 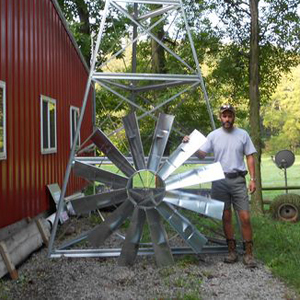 You may purchase all of our other products such as windmills, pond conditioners and muck reducers, and more on our website with shipping to anywhere in the continental United States.